Hey Everyone! We are happy to announce that we, at Team Onii-chan, will be having our very first figure display for 2013! We are getting ready to showcase some of the latest releases so, do look forward to it! As the usual routine, we already have an initial list of figures from within our group; but as we have always done, we’re now opening the lending of figures to everyone! Any volunteers would be greatly appreciated as it wouldn’t only help us in making a bigger and better display but it also gives us an opportunity to make new friends and also have you guys help in promoting the love for this wonderful hobby. As this will be our very first display for the year, we hope to make it a blast with everyone of you! We’re opening the slots to everyone who wish to lend their figures. To lend, just comment on this post below with your name (can be real or an alias), contact information (preferably Facebook profile link) and the figure that you will be lending. Please state the manufacturer and the toy line which the figure is from. Only authentic/original figures will be allowed. The display will be an open display. There will only be tables and no glass cabinets. Slots are not limited. More will be added as needed. Figures marked with (*) are still tentative. Hi guys! We at Team Onii-chan will be having our last figure display for this year and we’re hoping to make it the biggest figure display event for 2012! While we already did make an initial lending from within our group; as always, we’re inviting everyone to lend their figures as it would not only contribute to making this event our grandest for the year, but also an opportunity for us to make new friends and for you guys to help in promoting the love for figure collecting. Last year’s Ozine Fest Anime Figure Special was definitely memorable and we hope to make this year an even more memorable one! Onegai Onii-chan x Otakuzine Nendoroid Design Art Contest! Repost from Onegai Onii-chan Hobby Shop website. With the Christmas season already upon us, it means that the biggest anime figure event in the Philippines is coming soon as well. 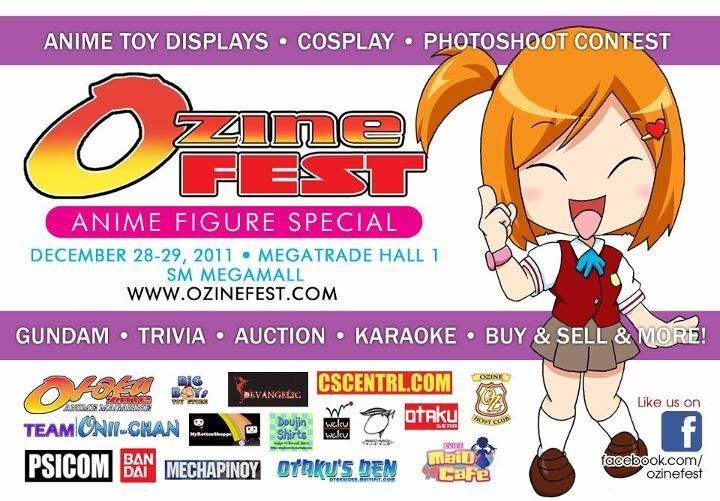 This December 28-29 at SM Megamall, Otakuzine Anime Magazine will be holding Ozine Fest Anime Figure Special 2012! Like the name implies, the entire event will be dedicated to anime figures and of course, Onegai Onii-chan will be there to support it. To celebrate the event, we have partnered with Otakuzine management to bring you an exciting Nendoroid art design contest where you can win some cool prizes. Have you ever dreamed of being a Nendoroid designer? Or do you have an existing idea in mind that you wish to share with others? Well, here’s your chance to show off your skills and win some great prizes along the way. Note: RinLin is the official Onegai Onii-chan mascot. Art courtesy of Cza. This contest is open to everyone currently residing in the Philippines, except staff of Otakuzine Anime Magazine and administrators of Onegai Onii-chan Hobby Shop. Only 1 entry per person is allowed. Draw your own original Nendoroid and create a Nendoroid that you can call truly yours’! The Nendoroid can be your original character or it may also be an existing character that has or does not have an existing Nendoroid. However, should that be the case, your drawing must be significantly different from the existing product (new form, outfit, pose, etc). Entry must be your own drawing. In the event that we prove that your artwork is stolen from an existing art or artist, we will immediately disqualify your entry. However, pose references from other existing artworks are acceptable. There should be 4 angles of the character drawn (front, back, left side, right side). Main angle of your choice must be in full color. Other angles can be a black & white sketch or colored. You may include additional angle/pose if you want to show off the accessories and props that are included with your Nendoroid (e.g. Shana posing with her katana). Additional expressions face plates are also appreciated. Entries can either be traditional or digital artwork on A4 paper size (105 x 148 mm) 300 dpi, and JPG format. Traditional works must be scanned accordingly for submission. Entries must be submitted to (onegaioniichancontest@gmail.com) with the e-mail title of “Nendoroid Contest” on or before December 21, 2012. Please include your Name (real name only), home address, personal Facebook account link and character name. All artworks will be posted on a dedicated album in Onegai Onii-chan’s Facebook fan page with watermark. The “Top 15” entries will be announced on December 24, 2012 and all qualifying contestants are required submit a printed copy of their artwork on A4 photo paper to Team Onii-chan Figure Display booth to be displayed on the event. Deadline of submission of hard copy entries on the event is December 28 at 3pm. Failure of doing so will result to disqualification of entry. For the GRAND PRIZE winner, he or she will be receiving a brand new Nendoroid Princess of the Crystal from the anime, “Mawaru Penguindrum”! Our grand prize will be shipped this week (11/16) from Japan. In the event that the package will not arrive before the Ozine event, the winner will be given an option to chose to wait for the Nendoroid Princess of the Crystal to arrive or to claim our on-hand Nendoroid Akemi Homura. So what are you waiting for? Sharpen those pencils, bring out those drawing tablets and put that creative mind of yours’ to work and show the world your very own Nendoroid creation. Who knows? You might be that lucky winner of a brand new Nendoroid. Good luck and we wish you all the best! The OtaKulture Project Starts Now!!! Ever wanted to be covered in a magazine with your precious collections? For the first time ever, Otakuzine Anime Magazine will be launching the OtaKulture magazine! It’s the first ever magazine of its kind here in the Philippines and it will solely be focused on Japanese collectibles and the otaku who dedicate themselves to getting the best that Japan has to offer. Yes, that means YOU! How to be a part of this exciting new venture? You just have to submit some fairly easy requirements will are detailed below and that’s it. The purpose of this project is to showcase the love of Filipinos for Japanese culture as expressed by their creative room decorations. 1. Submission of entries is open to all Filipino otaku, either living in the Philippines or outside of it. 2. Participants will be asked to submit pictures of their rooms decorated with their Japanese collectibles. Japanese collectibles can be from, but are not limited to, anime, manga, tokusatsu, Jpop and video games. 3. Entries should be submitted as high-resolution images (300 ppi, do not resize if possible) in digital format along with the sender’s name and age to (insert e-mail address). At least four (4) images should be submitted in different angles to give people a better view of the entire room. 4. Participants are not allowed to pass off entries of other people as their own. Discovery of such acts will merit disqualification of the entry from being included in the compilation. What is your main collection? Why do you like to collect? What is your future plan for your room? What is the most prized piece in your collection and why? 6. All entries should be sent to edrell.dy@gmail.com. Entries can be rejected without notice if they have objectionable content in them. 7. A person may only send in one entry. Should a person send in two entries of different rooms, Otakuzine management has the right to choose which of the two entries will be used for the compilation. 8. Deadline for submission of entries is on (insert date and time). 9. All entries submitted entitles Otakuzine the rights to use them in future publications and other media should they choose to. 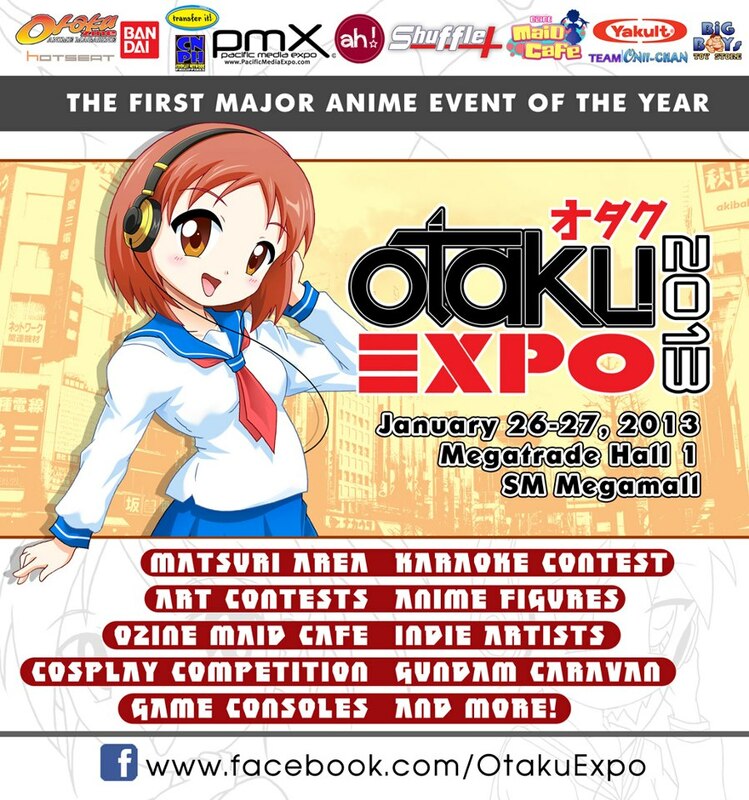 OtaKulture will bring the spotlight to another aspect of otaku culture. 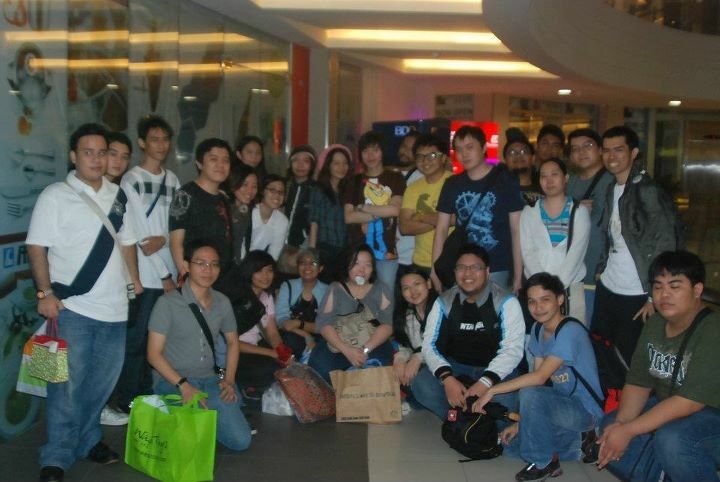 Being otaku does not mean being simply a cosplayer or anime enthusiast. So be proud and show off that collection of yours’ and wear your badge as a collecting otaku proudly. Hi everyone! Onii-chan here. It’s been quite a while since I last posted here. Been quite busy recently. 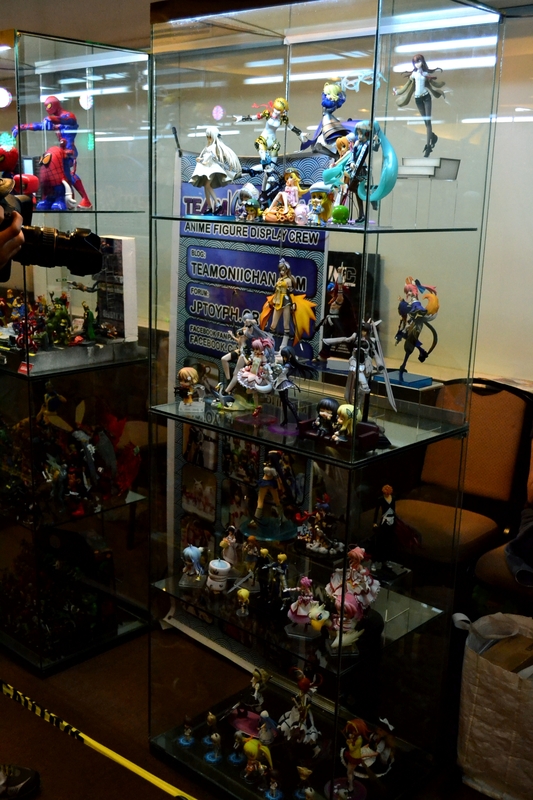 Anyways, we’ll be having another figure display this year at The Best of Anime 2012! Last year’s display for this event was a memorable one for us and we hope that this year’s edition will be even better. As always, we’re inviting everyone to lend your figures for the display so you can help in promoting the figure collecting hobby to others. Note: Only authentic/original figures will be allowed. The display will be an open display. There will only be tables and no cabinets. 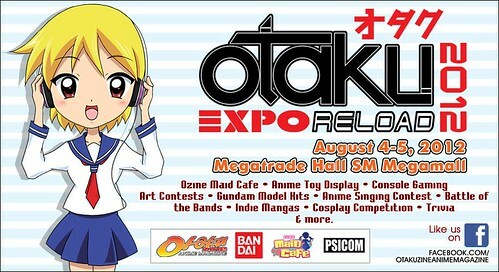 Anyway, after 1 month of hiatus, we’ll have another display at Otaku Expo Reloaded 2012! Details (date and place) are posted in the picture above. We’re opening the slots to everyone who wish to lend their figures. To lend, just comment on this post below with your name (can be real or an alias depending on you), contact info (preferably Facebook profile link) and the particular figure that you will be lending. Please state the manufacturer and the toy line which the figure is from (e.g GSC 1/8 Oshino Shinobu). Note: We only allow authentic/original figures. Type of Display: Open Display. No cabs, just tables. For all Team Onii-chan members, figure lenders and those who will be guarding the display, here are some reminders to take note of. This primarily concerns the ingress and egress schedules, duties and conduct in the display area. 1. Ingress will be on June 15, 2012 from 12 nn to 10 pm at the SM Megatrade Hall Conference Rooms. However, according to ToyCon officials, only 5 members of the team will be allowed to stay within the conference room for the ingress. These members are Onii-chan, Murakami Night, scary.chii, Kai and Ash (final already). 2. Because of this, we will be asking lenders of figures to meet with us outside of the conference room to hand us their figures instead. Once you arrive outside the conference room, please immediately look for anyone of the 5 listed above and sign on our records. This will help us take note of the figures you’ve brought for the display. 3. For those who can bring risers (acrylic preferably), please do bring them to the ingress so we can prepare them inside the cabs immediately. 1. Please take care of your belongings. Team Onii-chan will not be responsible for any losses due to carelessness (such as leaving any expensive items unattended to). Your PSPs, DSLRs and such items are your responsibility. If you lose them because you left them somewhere, do not fault us for it. 2. Do not bring food inside the event hall. 3. Always keep a friendly disposition. Do not incite fights with your fellow members or with the public. There may be times when the crowds are a bit rowdy so we ask for your patience in dealing with them. 4. We only have 3 IDs given out by the ToyCon committee which will be used by the admins. As a result, you will be required to purchase tickets to be able to enter the event area. We are very sorry for this as ToyCon (even in previous years) really just gives out 3 IDs for their exhibitors. 1. Egress will start at 7:30 pm of June 17. If you absolutely need to leave earlier than that, please inform any of the Team Onii-chan admins (Onii-chan, scary.chii, kettenkrad or Murakami Night) before doing so. 2. You can leave your boxes at the display area but please be mindful that space is quite limited at the display area and ToyCon wants us to be organized and tidy in keeping our things there. 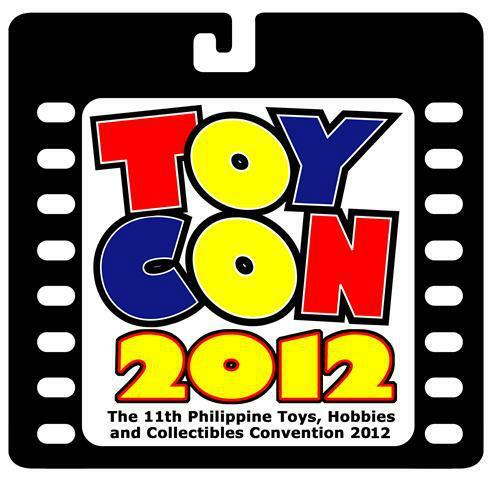 That’s all for the reminders for ToyCon 2012! Follow them to heart and we assure you that we won’t be having problems for the display. This is our first ever ToyCon display and we hope that it will be a successful one for us as well! 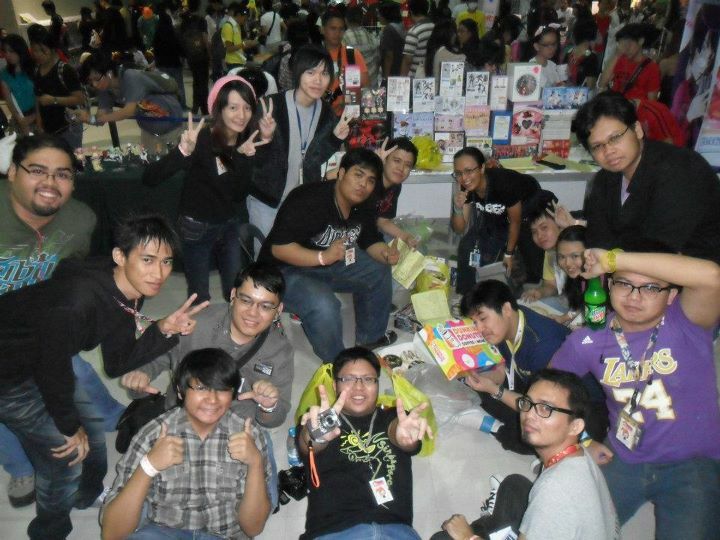 ToyCon is one of the most attended local conventions and for good reason. It is the biggest gathering of pop culture enthusiasts in the Philippines. Everything from toys, cosplay and even celebrity appearances can be found here. 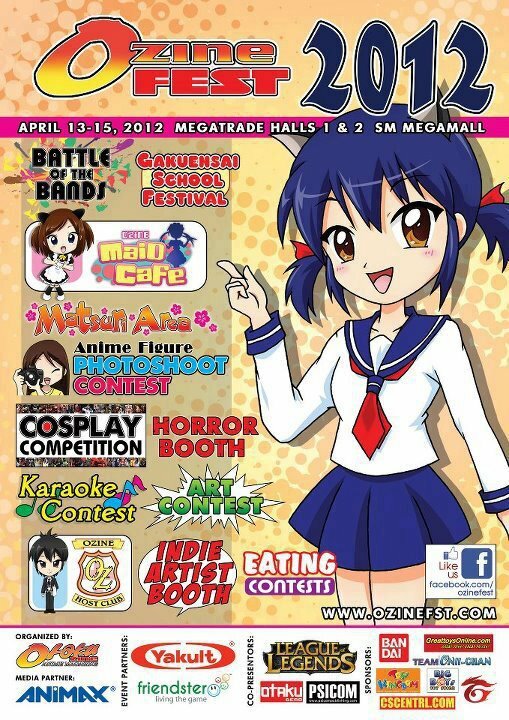 This is why we are so excited to announce that for the first time ever, Team Onii-chan Figure Display Crew will be having an anime figure display at ToyCon 2012 from June 15 to 17, 2012 at the SM Megamall Megatrade Halls 1-3. What makes this display even more special is that we will be displaying our collections with all the other toy groups in the Philippines. Our inclusion is really a humbling opportunity which we are grateful for. Alter 1/6 Persona 3 “Aigis” ART WORKS ver. 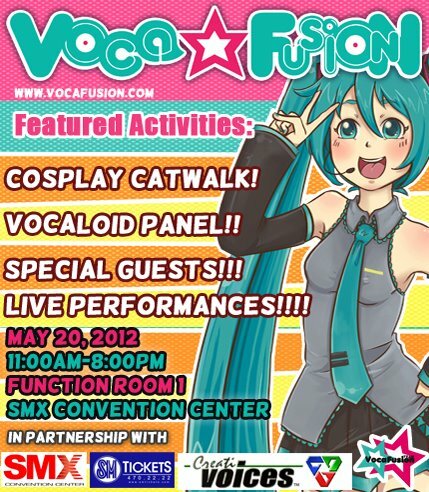 Volunteer Your Vocaloid Figures For The VocaFusion Figure Display!!! 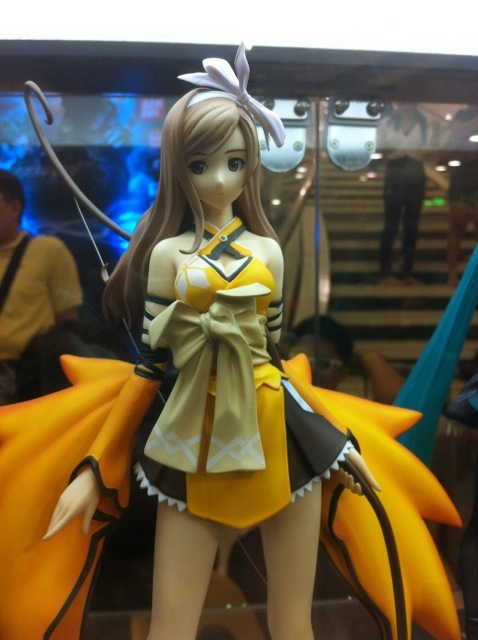 Volunteer Your Figures For The Ozine Fest 2012 Anime Figure Display!!! Sensei Rocks The House at Otaku Expo 2012! “Japanese Toy Collectors Philippines” is Now Open!!! The reason for this choice of naming, in contrary to something like Team Onii-chan Boards or something like that, is that more than being just a community for anime figures, we also want to build a community that welcomes other enthusiasts of Japanese collectibles outside of the usual figures, such as doll collectors and other otaku merchandise. Being a new online community, we don’t expect our numbers to be as big as other groups, but what we can promise is that ours’ will be a home that makes you feel comfortable and happy to be a collector. We do not promote an elitist and antagonistic attitude that alienates people and a free exchange of ideas is what we welcome in our new home. Volunteer Your Figures for the Otaku Expo 2012 Display!!! Team Onii-chan Figure Display Crew Will Be at Otaku Expo 2012!!! After our grandest display event last month, you’d think that our team would be resting on its laurels now, but no. 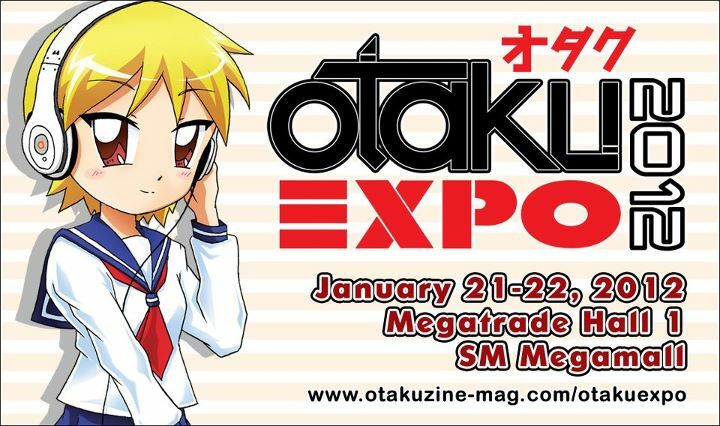 This January 21-22, Otakuzine will once again be holding Otaku Expo at the SM Megamall Megatrade Hall 1 and yup, you guessed it, we’re having another display for all of you. If you will remember, we also participated in the 2011 edition of the said event and in my opinion, that was one of the more memorable displays that we had so I’m very optimistic that this will be just as memorable. What to expect? Well, more figures of course. We’ll be showcasing some of the first figures that came out in 2012 so expect some new faces to be seen. For now, we don’t have much details regarding the event itself but on our part, we’ll be opening slots for volunteering of figures soon so stay tuned. What better way to celebrate the new year than with a new convention! We hope to see all of you at our event and hopefully you can once again visit our booth to see our gorgeous display.